Few artists are as synonymous with their hometowns as Claude Steelman is with Durango, but the photojournalists latest book is a reminder that the man made a name for himself hundreds and thousands of miles from Colorado. Wildshots is Steelmans fifth book and his second go at self-publishing. Its a look back at a 30-plus-year career that included stints as a British television documentary filmmaker and as a regular contributor to National Geographic. Its packed with stunning photos of wildlife and scenery that most of us would never see without the aid of lenses like Steelmans. And self-publishing has come a long way  the 12-inch square hardcover is beautiful and professional, and the images within are reproduced flawlessly on high-quality glossy paper. In short, if you didnt know it was self-published youd think it came from one of the big houses instead of from Steelmans basement. Tonight, Steelman will give a slideshow and sign copies of the book at Toh-Atin Gallery, which is assuming a surrogate location for Y.E.S.S. The Book Hutch. Jackson Clarks gallery allows for much more seating than Terry Hutchisons local bookstore, and because both are longtime friends of Steelmans it should be both a festive and informative evening. Steelmans shots from both the Four Corners and the four corners of the globe contain enough stories to, well, fill a book, and so they have  five times over. 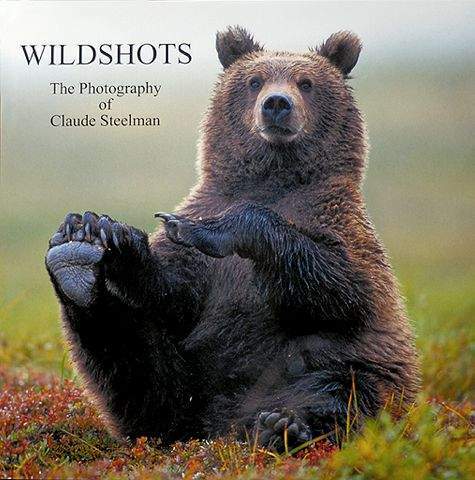 Wildshots, by Durango Photographer Claude Steelman, independently published by Wildshots, Inc. 144 pages, $39.95. In conjunction with Y.E.S.S. The Book Hutch, Steelman will present a slide show and sign copies of the book from 5:30-7 p.m. today at Toh-Atin Gallery, 145 W. Ninth St. Wildshots is available locally at Y.E.S.S. The Book Hutch, Marias Bookshop, Open Shutter Gallery, and online at www.wildshots.com.